Hymn to the Reckless, the debut collection of poems by American-born Erin Fornoff, traces an arc from youthful adventures in the Appalachian mountains to a confrontation with life’s complexities, not least in the radically transformed America of recent times. Moving between that America and her present ‘Home from Home’ in Ireland, Fornoff finds a kind of consolation in community, while struggling to bridge the ever-widening gap between what is and what should be, between the world she left and the one that threatens to replace it. She finds a peace in the natural world and rejoices in those moments of ecstatic recklessness that remind us to be present, no matter the shape of the world we’re in. Erin Fornoff hails from the Appalachian mountains of North Carolina. Based in Dublin, she has performed her poetry at dozens of festivals and events across Ireland, the US, and the UK including Glastonbury, Electric Picnic, Cúirt, and a national Irish tour with viral poet Hollie McNish. She has featured at Hozier and James Taylor concerts and collaborated on a large-scale street art and film project, 'The Volunteers,' with artist Joe Caslin in 2017. 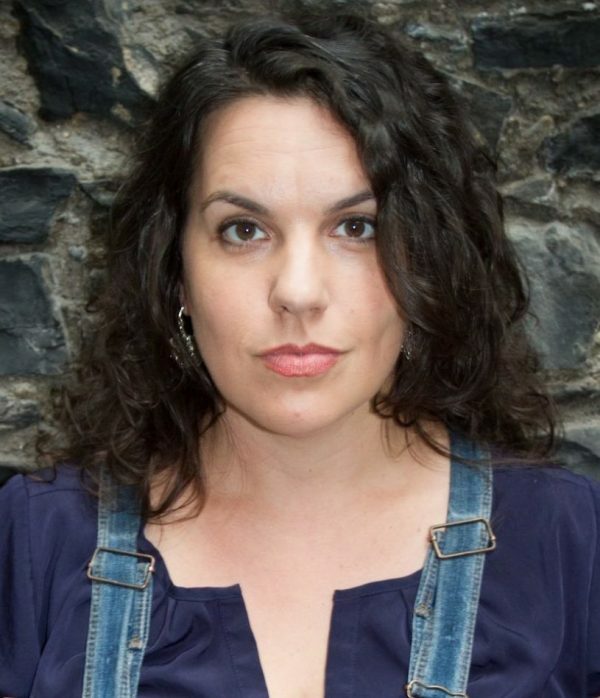 Her poem ‘Thigh’ was included in Best New English and Irish Poets 2016 and her poem “To Make Things’ was commissioned by RTE for national broadcast and performance at Dublin Castle in front of a crowd of 4000. In 2014 she was a part of the Poetry Ireland Introductions Series. She has been published and anthologized in The Stinging Fly, Cyphers, New Planet Cabaret, The Irish Times, Icarus, Penduline, and many others. Her poem 'Hymn to the Reckless' featured on posters and curriculum nationwide for Ireland’s National Poetry Day. Her poetry and writing has been featured on BBC3 and national radio across Ireland. She was co-founder and Programme director for Lingo, Ireland's first ever spoken word festival. In 2015 she received an Arts Council bursary for her first novel Better People. In 2014 she received an M. Phil in Creative Writing with Distinction from Trinity College Dublin.